I finally took the plunge and joined the growing masses of genealogists who have had their DNA tested. 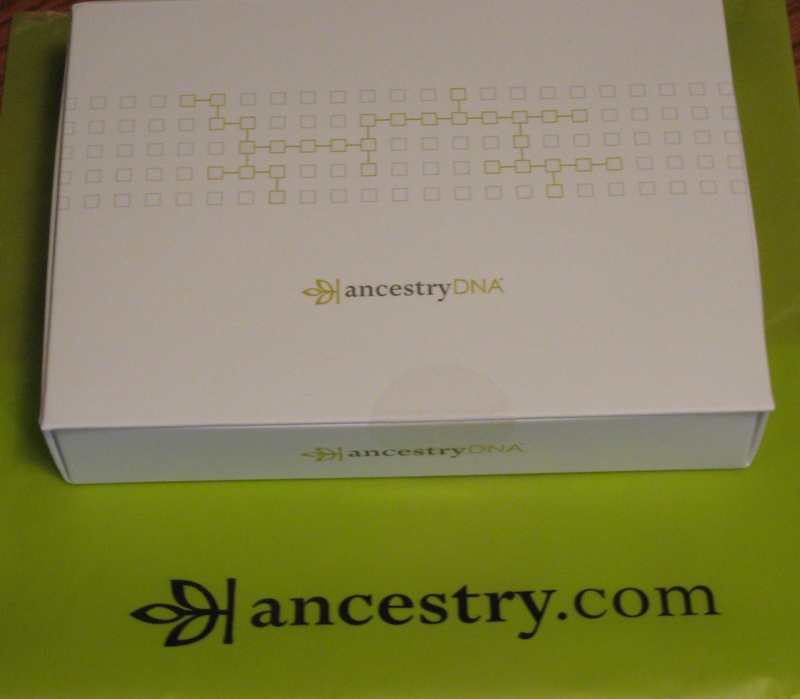 One of my goals at the RootsTech conference this year was to learn more about DNA testing. I signed up for Saturday’s lunch hosted by Ancestry.com. It just so happened that the topic was DNA. The three different types of DNA testing were discussed. Mitochondrial (mtDNA) is passed by mother to both male and female children. yDNA is passed down the male line from father to son. Autosomal (atDNA) is used to look for connections among family lines both maternal and paternal and will trace ethnic ancestry. My kit was $89.00 for an Autosomal kit and I saved $10.00 in shipping by purchasing it at the conference. Click here to read a brief pdf guide about DNA. My mother’s grandparents on her father’s side were born in Italy. My mother’s mother Bertha Marie Christina Reher was born in Hamburg, Germany in 1901. I don’t know where her parents August Reher and Caroline were born. My father’s mother was Grace M Norder born in 1908 in Monroe, Wisconsin. Grace’s father Edwin C Norder was born in Wisconsin in 1880. Grace’s mother Tillie was born in 1881 (birthplace unknown). I don’t know anything about my father’s father, Frank Winike. He abandoned my grandmother and father when daddy was a little boy and I have been unable to locate him in any online record databases. Wow, I just realized that I have a lot of research to do on dad’s side of the family. My Ancestry.com kit is an atDNA test so I expect a large chunk of my lineage will be from Southern Europe which includes Spain/Portugal and Italy/Greece. The instructions said the test was quick and easy to take. No more swabbing the inside of your cheek. I had to spit into a tube “up to the wavy line” (about 1/4 of a teaspoon). It was obvious that the person who wrote the instructions was a young whipper snapper who was not on a ton of medications that leave your mouth dry! This process did seem to prove very entertaining to my sister Lori, and after about 20 minutes of exhaustive spitting I had reached my goal. Now I must wait patiently for 6 to 8 weeks to get the results of my test. Those of you who know me well know that this will be a challenge. Ancestry.com has 2.7 million subscribers and close to 300,000 members have taken the DNA test so far. I think my chances are good that I will find some new cousin matches. Yep, that’s right. 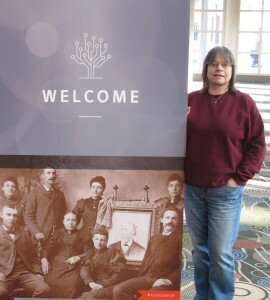 Don and I traveled to Salt Lake City and attended my first genealogy conference. RootsTech has been on my bucket list for 3 years and it did not disappoint. My sisters, Lori and Holly, teased me about my 27 page excel spreadsheet of classes (printed on legal paper) that I kept sifting through in the weeks before my trip. All the hours I spent color coding and sorting over 225 class options paid off. I allotted myself 4 one hour classes each day. Classes highlighted in blue were my first choice, classes in green were my back up classes, and classes highlighted in gray were backups of my backups. Pretty simple system but my sisters seemed confused. In between classes I was able to stroll through more than 130 vendor and exhibitor booths. Remembering our ancestors was on everyone’s mind here. What a joy that all my new friends actually wanted to talk about their research and ancestors. No ones eyes glazed over as the discussions went on and on about the best way to share family history or as we debated the best online research products. Don and I took some time to be tourists. 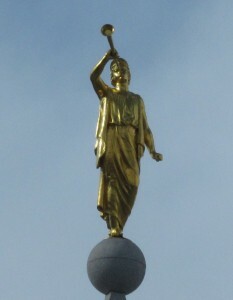 We had lunch at the restaurant at the top of the Joseph Smith Memorial building and Don took some great shots of the LDS Temple and the Angel Moroni. I even had a few hours to explore some of the floors of the LDS Family History Library and to do a little research. The first day, Wednesday, was the innovator & developer summit. We got a chance to scope out the convention center and find our way around and sit in on some of the lectures. Each day started with a one hour general session with keynote speakers. My favorites were Dr Spencer Wells, a National Geographic Explorer in Residence. He gave an fascinating lecture about his genetic project. Todd Hansen spoke about his TV series called The Story Trek on BYU TV. Judy Russell stressed the importance of accurately recording and preserving family stories saying that oral family history can be lost in three generations and that we should document and pass on our stories to the generations that come after us. Thursday nights opening social featured Vocal Point, a Capella group which we enjoyed immensely. Saturday was youth day. I was impressed to see so many pre teens and teenagers attending classes and touring the exhibits. There was a rousing game played on the stage in the ballroom as teen agers swapped turns on the stage. I’ve been anxious to start digging into newspapers to look for family stories so I took a class given by Newspapers.com and will subscribe to their database. I attended a class given by Crista Cowan about researching records. Crista has worked at Ancestry.com for the last 10 years. She has the best job! Crista has some wonderful learning videos that will help you maneuver around the Ancestry website. On Saturday I went to a lunch hosted by Ancestry.com. A panel of their experts spoke about Ancestry’s DNA project. 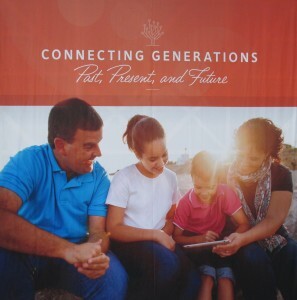 In fact DNA was a large part of RootsTech, a topic that has been on my mind for some time. I attended a lecture titled “Begging For Spit” (no joke). Watch out cousins, I’m coming for you! So here I sit, typing my blog post at the airport. Our plane has been delayed headed back to Portland. We will return tonight to 7 inches of snow, capped with a layer of ice. I do not want to lug my suitcase up my hill. I hope that next year RootsTech is held in the spring! I’m afraid I’ve been away from my genealogy fixation far too long. I’ve been teaching myself how to use Photoshop Elements and had a blast building my 2013 digital scrapbook. Now that the holidays are over I’m itching to get back to my research. 2013 has brought some devastating losses to my life. My wonderful brother in law Paul and my beloved Aunt Phyllis both passed away in the fall. I treasure my memories of Paul who had a kind word for everyone he met and I will miss the sweet ways my Auntie touched my heart. I’ve also experienced many blessed events in 2013. The birth of my granddaughter Abigail Rose and her baptism, my son Don Jr’s marriage to Kelly and my nephew Robin’s marriage to Karli. Our family tree continues to grow and we welcome Kelly and Karli’s families into our fold. 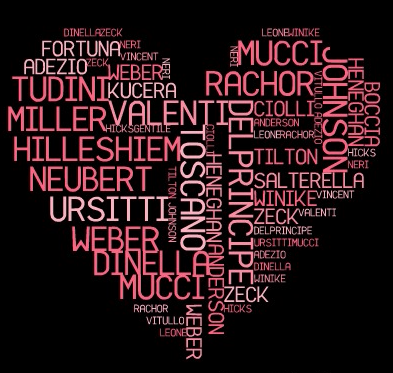 I have received email from new members of our family who have stumbled upon my genealogy website. 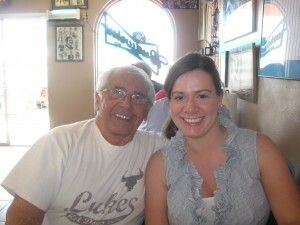 I hope to share photos and stories from them soon in my blog posts. I am still in awe that the internet is able to help connect us all together. I also have new research documentation to share with you thanks to Kathy from GenTracer. My goal for 2014 is to attend a genealogy conference. I have toyed with going to a conference for several years and have researched many different venues. My top choices are RootsTech which is held in Salt Lake City and The National Genealogical Society Conference which this year takes place in Richmond, Virginia. 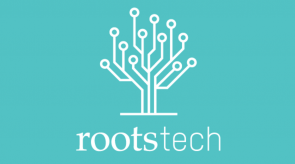 The techie in me is leaning towards RootsTech. 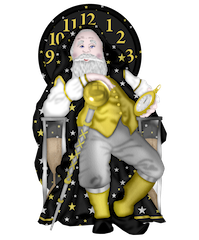 Wishing you all a happy and healthy new year!